Las Vegas Shooting Victim Families Want Things To Change After The Tragedy. Here’s What They Said. More than a week after a gunman opened fire on a country music festival in Las Vegas, killing 58 people and wounding more than 400 others in the deadliest mass shooting in modern US history, authorities are still trying to determine why a 64-year-old gambler launched the horrific attack. The shooter, identified as Stephen Paddock of Mesquite, Nevada, was found dead inside his 32nd floor hotel suite along with more than 20 guns and hundreds of rounds of ammunition. Authorities said a dozen guns used by Paddock had been modified with a device called a “bump stock,” which allows semi-automatic firearms to rapidly fire like an automatic weapon. BuzzFeed News spoke to some of the many concertgoers who survived the massacre, as well as those close to the victims, to find out what people affected by the tragedy hope to come from it. Andrea Castilla was celebrating her 28th birthday at the festival when she was killed in the shooting. Her brother, Adam, said Andrea posted a video of herself dancing joyously at the concert about ten minutes before the gunman opened fire. Adam Castilla, a 32-year-old musician who lives in Orange County, California, said that he wants something positive to come of his sister’s death. Castilla said that after the shooting he supports additional restrictions on firearms. “There needs to be measures taken, where it’s harder to do something like this,” he said. Sarah Radie, 26, who lives in Las Vegas, attended the concert with three friends, all of whom escaped the massacre with only minor injuries. In an interview, Radie recalled hearing screams from the crowd, followed by sudden silence as bullets rained down, kicking up dust. Radie, who said she does not have strong feelings about gun rights, now wants to see legislative action and changes to gun laws “right away,” including more thorough vetting of gun buyers. In particular, Jordan said she is concerned about the types of firearms available for sale. Tom Smith's cousin, 67-year-old Patricia “Pati” Mestas, was killed when the gunman opened fire on the concert. In the wake of the shooting, Smith said he'd like to see more security in Las Vegas to prevent another tragedy. “There should be something — metal detectors can be hidden,” he said, noting that Paddock, the shooter, managed to bring more than 20 guns into his suite at the Mandalay Bay without being detected. “I would like to see the gun lobby less strong than they are,” he added. On Sunday evening, family, friends, and strangers gathered for a vigil in honor of Kimura. Miller said that the “finality” of his friend’s death began to be felt. “While I am a proponent of owning guns, I would be the first one to say that there needs to be better regulation on the purchase of and ownership of firearms,” Miller said. “Obviously, it doesn’t take a genius to realize that somebody should probably not accumulate that many guns, legally, in such a short period of time,” he continued. For Miller, who called the US “polarized,” the most pressing need following the mass shooting is for people to be united against violence. “We've got find ways to work together, despite our differences,” he said. Jeff Bannerman, a 56-year-old from Ferndale, Washington, survived the mass shooting with his wife. As for what he hopes will come out of the tragedy, Bannerman said he is unsure. Berger described himself as “in the middle” on gun control, but said he hopes that in the wake of the shooting, political leaders will work to make the country safer. 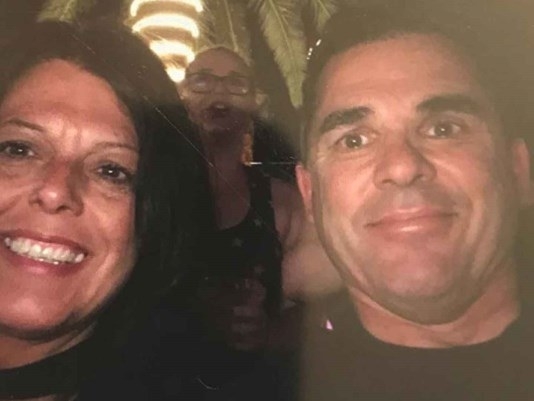 Lance Miller's sister, 34-year-old Hannah Ahlers, was attending the final night of the Route 91 Harvest festival with her husband when she was shot and killed. 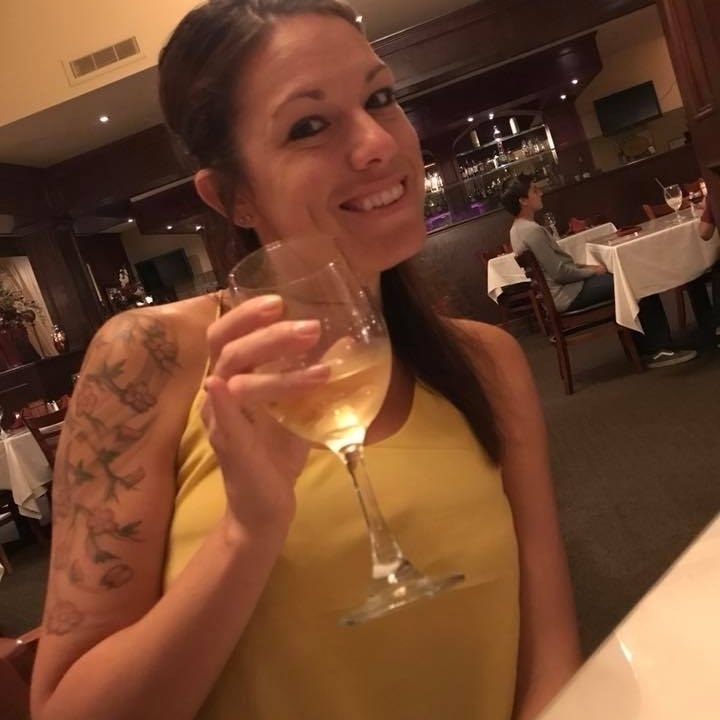 A mother of three from Beaumont, California, Ahlers was “loved by everyone that met her,” Miller said.